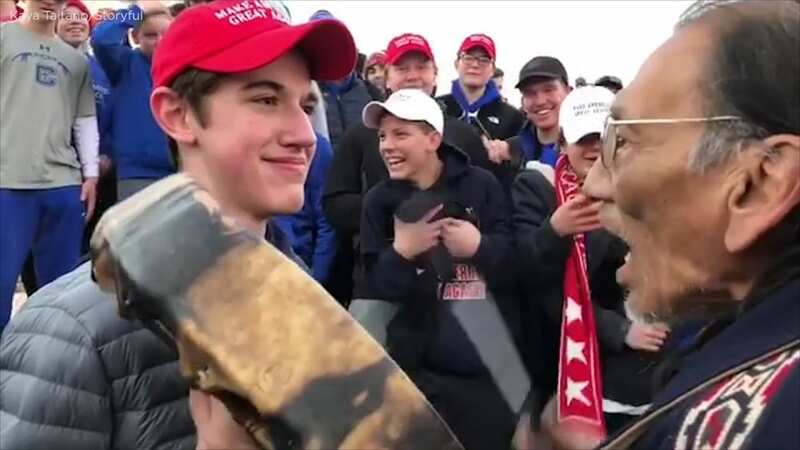 CNN still has yet to report on the now week-old lawsuit filed against them by lawyers for Covington Catholic High School student Nicholas Sandmann. The suit, which accuses the cable network of “falsely attacking, vilifying, and bullying” the teenager, has not received a single second of airtime during any CNN broadcast, nor has it been mentioned in any article on their website as of 1:00 p.m. Eastern on Wednesday, March 20. Though they’ve remained quiet about their own legal tangle with the high school student, CNN did find the time to report on the suit Sandmann filed against the Washington Post. On February 20, the network ran three separate news briefs on its early morning shows covering that filing. In one such report, Early Start fill-in co-host Boris Sanchez noted that the viral video of the teen had “initially touched off accusations that Sandmann was a bigot” — conveniently failing to mention that his network was also a prominent voice in the chorus of such accusations. I have extreme doubts that this thing will ever get to court. It would certainly be in the best interest of CNN and their left leaning agenda to quietly settle the thing out of court, and that point would certainly explain why they haven’t mentioned it on air yet. There are two matters in play here. To report on it , in anything less than absolute truth is problematic legally, because of the attention drawn by the suit. If they play rough shod on the facts in this case as they so often do outside of it they expose themselves to legal ramifications. Moreover to report on it at all at this stage of the game means allowing themselves to be taken down a notch in public perception. So instead of reporting on news that runs afoul of their purposes, they sit on the story. Nothing unusual about that for these animals. Watch for this thing to be quietly settled out of court with the results of that settlement sealed. Personally I’d like to see Sandman and his attorneys refuse to take an out-of-court settlement. But we will see. The the wild card here is the Washington Post lawsuit… Which, as is reported in the pull quote, CNN did manage to find the time to report on. It’s unclear to me why CNN would be reporting on that alone. if they’re not going to report that they too got sued, why would they be reporting on it at all? That part doesn’t seem to make sense.